The guided tour will depart at 9 am. Independent tours, and tours which include lunch, will depart at 11.30 am. We are comparing Skip the Line Uffizi and Accademia Gallery Tour Florence Prices from leading ticket suppliers and Try to find you Cheap tickets prices on the market. This is a compact 2-part tour which will take you inside two of Florence’s top attractions and most historic buildings. You will receive a 75 to 90-minute guided tours or comprehensive audio guides for each gallery depending on the option you select. Home to Michelangelo’s legendary David statue, the Academia Gallery, is the smaller but no less impressive of the two galleries. Inside you can find and abundance of magnificent artworks including some of Michelangelo’s unfinished sculptures. The highlight of a visit to the Academia Gallery is seeing the life-sized marble statue of David and appreciating the renowned sculptor’s precision with your own eye. The second part of the tour will take you inside the Uffizi Gallery. Explore the u-shaped building and former office blocks of the Medici family independently or with your local tour guide. Inside you will find the masterpieces of early renaissance artists who paved the way for the art movement. Ideal for people with limited time in the city, the Uffizi and Academia Galleries are two of the most popular attraction in the city of Florence, and due to length entrance queues, it would be difficult to see both without fast-track entrance. Recommended for art lovers, historians and fans of Renaissance art. This tour is aimed at adults or adolescents however the content is suitable for children also. Your Experience With Skip the Line Uffizi and Accademia Gallery Tour Florence? Combine two of Florence’s top attractions, the Uffizi Gallery and Accademia Gallery, in a convenient half day tour. Save time with skip the line entrance to both attractions. See top class examples of renaissance art by the likes of Da Vinci, Raffaello, Botticelli, Giotto, Michelangelo and many more. Discover the Medici family’s private collection of Gothic and Renaissance art works and see the world-famous David statue. Learn about the pieces of art displayed in both galleries and about the buildings themselves from an expert art historian tour guide. 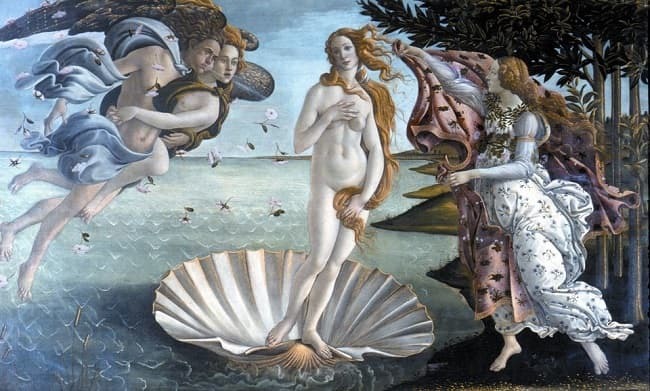 What Skip the Line Uffizi and Accademia Gallery Tour Florence Includes? Skip the line entrance to the Uffizi Gallery and the Academia Gallery. Live guide or audio guide (depending on option selected). Headphones for guided tours (for groups larger than 15 people). This combo tour does not run every day so we recommend checking what tours are available and making your reservation in advance. Travelers Reviews about Skip the Line Uffizi and Accademia Gallery Tour Florence? This convenient combo tour is very highly recommended on both Viator and Trip Advisor. Overall the skip the line tour has a 4.5 out of 5-star rating from over 2,000 people who have participated in the tours. Comments generally agree that this is a compact but comprehensive tour led by knowledgeable tour guides. Reviews indicate that skip the line tickets are worthwhile as they will save you a lot of time. Some reviews point out that there the guided tours do not give you enough time to explore the entire museum, but for people with limited time, it’s perfect for seeing the highlights. Wheelchair users will need to use and alternative entrance and may need assistance to collect tickets from the ticket office. Confirmation of your reservation will be send immediately via email. Printed or electronic tickets will be accepted at the museum entrance. Tours purchased with Get Your Guide are fully refundable up to 24 hours in advance. Tours purchased with Viator are fully or partially refundable up to 48 hours in advance. Cancellation policies will vary for other tour providers. Audio guides are available in 5 languages including: English, Italian, French, Spanish and German. Get Your Guide and Viator offer fully guided or self-guided (with audio guide) versions of this tour. You also have the option of including lunch on this tour. Meeting Point: Door 1 at the entrance to the Uffizi Gallery. This entrance is reserved for visitors who have pre-booked their entrance tickets.